Gorgeous, and so peaceful. I'm very envious, because I love foxes. 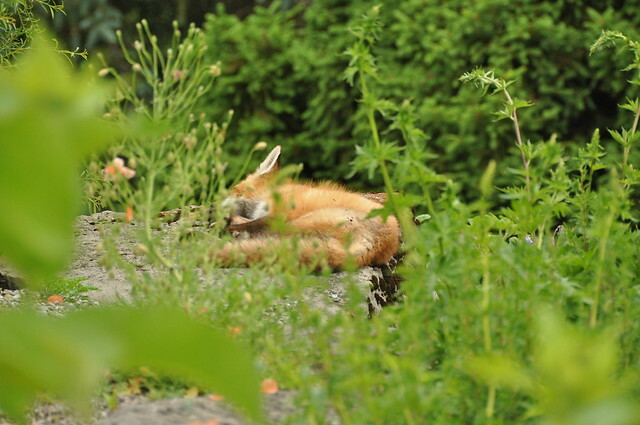 It was definitely a surprise to see him out sleeping in the open. Now that must have been a tough photo to get without alerting it. Great shot! He must have been somewhat used to people, because there were a few milling around. Although, I was probably a good 50 feet from him, standing on a rock, using my telephoto lens.